Simon Says is a games communication mechanic that interprets the tone and words speak into game voicelines, emotes, and animations of the game you’re playing. In it's current form, Simon Says is a Wizard of Oz prototype that was ideated within the constraint of the controversial technology, ‘hot mics’, an open microphone that is always on and recording. The anonymous nature of online multiplayer game spaces are both a blessing and a curse to marginalized players and the socially avoidant; Simon Says is an intervention that forces a level playing field for all that engage. 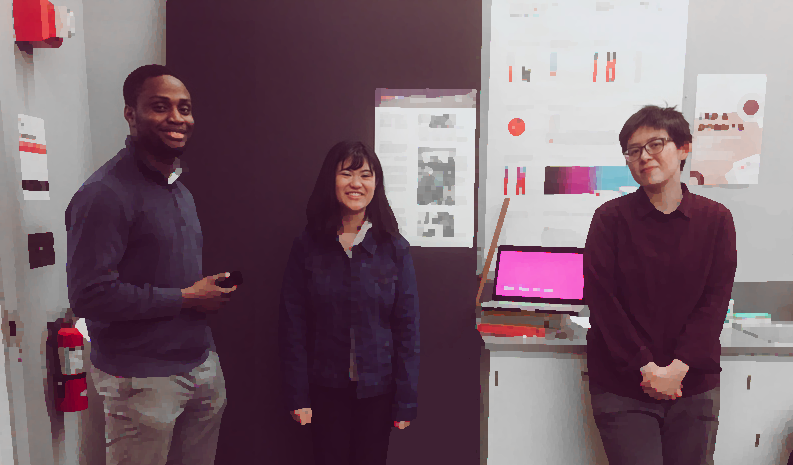 Research done through reading research papers and game design talks helped guide our primarily research interviews and provided for us an understanding our participants’ motivations through an academic lens. 1. The integration of play and social spaces allow individuals with social difficulties to make new friends as well as strengthen existing ones. 2. Anonymity in games allow for strangers to form bonds and empathize before judging based on prejudices. 3. Video games connect people through a common interest immediately. It is a natural icebreaker. 4. People who had trouble trusting others felt comfort in making friends online because online spaces felt socially less risky to them. 5. Players find and bond over serendipitous, spontaneous moments in game. 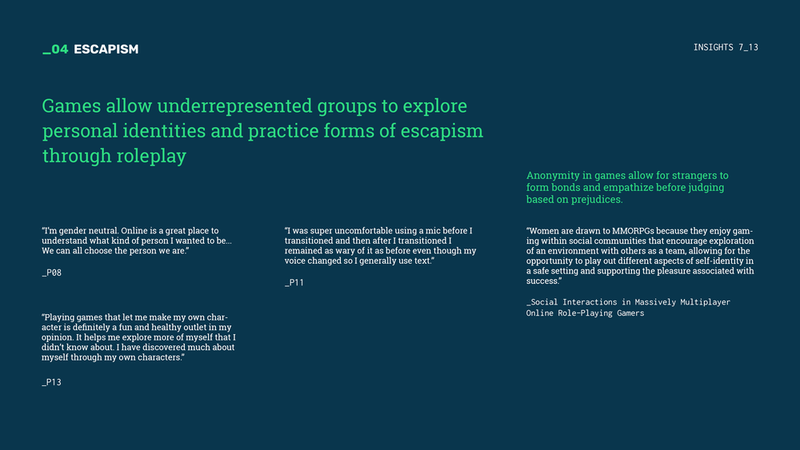 In recruiting participants, we sought to interview marginalized groups in order to gain a deeper understanding into why game spaces are so important to them. As a result, we gleaned a number of insights that were supported by our secondary research but also exceeded what we already knew. The Simon Says concept was pitched by me and was inspired by the design ethos of Chris Bell and his work on the game Journey, a game where communication is only possible through movement and a single musical chime. Yet players, strangers that appear and disappear through points in your journey feel an inexplicable bond and are compelled to help one another reach their mutual goal, the mountain in the distance. The concept of evoking empathy through a shared goal, without a single word spoken, before prejudices are formed was a core concept in the development of Simon Says. I was responsible for constructing the Wizard of Oz and hooking up the technical ‘backend’ that made the illusion of Simon Says real to testers. I also acted as the second ‘player’ that the participants were playing with. Through testing, we learned that Simon Says, while valuable to players, had better applications as an ice breaker that as a sustained mode for communication. Participants were thrilled at the concept and wished they had it when they were younger and insecure. The limitations of Simon Says and its jankiness provoked emergent experiences. It was efficient when used competitively in games, where communication was simple and straightforward. But with more complex communications and goals, words would be lost through translation. While this was in due part to the technical limitations of a Wizard of Oz operated by a human, it was also due to it being a barrier to deeper conversations. Simon Says is best utilized as a method for allowing players to bond and empathize as strangers, rather than as a medium for maintaining those connections. After all, human to human communications is best facilitated face to face.